Exactly 10 years ago, I looked outside my kitchen window and saw our beautiful lilac tree in bloom. Lilacs have always been one of my favourite flowers. Growing up in Montreal, I remember the scent of lilacs would always be one of the first clues that summer was around the corner. They were a sign of beauty and renewal. However, when I looked outside my window in May 2006, they represented something different for me. I had recently been diagnosed with kidney cancer and was waiting for a date for surgery. The prognosis was very good, but tell that to someone sitting with cancer in their body. It doesn’t matter if they believe it or not, they are still afraid. No matter how optimistic, their mind will still wander to the worst of the worst. In my case, I had 3 very little girls and one wonderful husband. All I could do looking at those lilacs that day was wonder if I would be around for them, or to see another spring and summer season renew itself. I don’t need to tell you how incredibly awful that feeling was. However, here is what I do want to share with you today. No matter how grim things look, for whatever reason, the lilacs in your life will still bloom next Spring. There is always always always hope. I was incredibly lucky. I really do stop to appreciate how lucky I was on a regular basis. When I get mired down in the insignificant stupidities of life like we all do sometimes, I remember my lilacs, and how grateful I am to be able to see them bloom in spring. The thing is though, I still do get mired down, I still do sometimes forget to stop and appreciate all of the wonderful blessings in my life. I spend too much time worrying about how much time my now teenage kids spend with wifi, and not enough time feeling gratitude for how much they are flourishing as human beings. I spend too much time berating myself for my shortcomings as a mother, instead of giving myself credit where it’s due and really truly feeling fortunate for the opportunity to fail once in awhile. When I find myself heading in that direction, I remember my lilacs. I remember that we do need to be grateful and that there is so so much to be grateful for. 10 years have passed since my diagnosis and surgery. In the cancer world, that is considered a very significant benchmark. I do not take anything for granted. Unfortunately, I do still worry and wonder. We can only do what we can do. However, there is one thing that we CAN do. We can control how we look at our world. We can adjust our perspective. We can choose to appreciate and be grateful. Even for the small, predictable things. Life is so much sweeter when you stop and smell the lilacs! 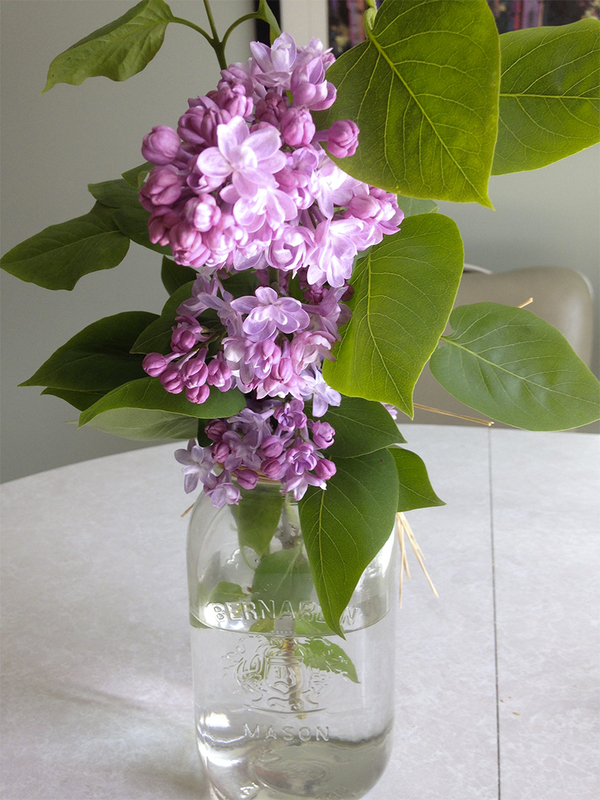 What are your “lilacs”? Share them in the comments below.